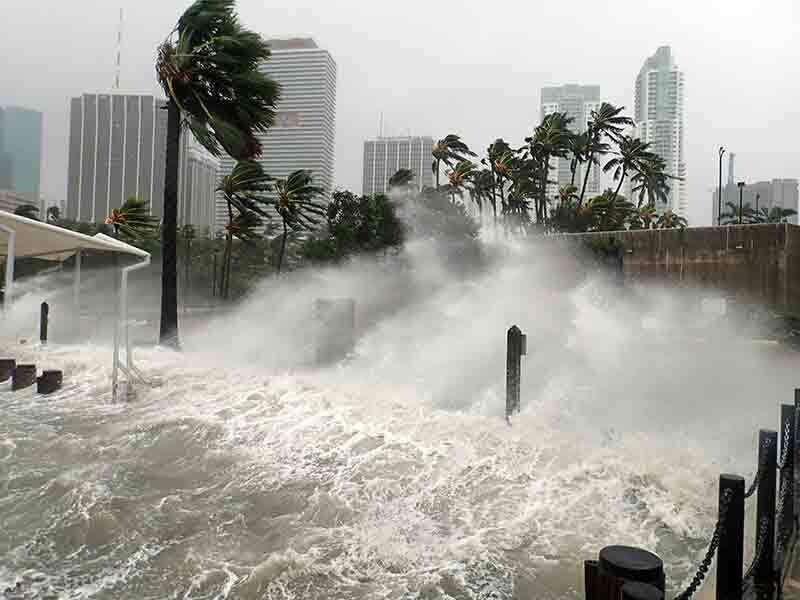 The financial toll of the three hurricanes that hit the US and the Caribbean in the past few months could reach as much as $145bn in insured losses, according to estimations by different catastrophe modelling companies. The latest storm was Hurricane Maria, which made landfall on September 20 and has been called the worst storm to hit Puerto Rico in almost 90 years. The storm also hit Dominica with heavy rains and winds of up to 175mph, reaching category five – the highest on the Saffir-Simpson scale, which is used to measure the potential damage of hurricanes. The ferocity of this storm alone resulted in estimated economic damage of between $40bn and $85bn in insured losses, according to catastrophe modelling company AIR Worldwide. The high end of this scale compares with the $82bn losses caused by Hurricane Katrina in 2005. According to The Wall Street Journal, these figures include the estimated damage to vehicles, residential, commercial and industrial properties, opportunity costs for businesses, and additional living expenses. The cost of rebuilding infrastructure was another factor added to AIR Worldwide’s estimations. Although Hurricane Maria caused greater insured losses in comparison with the almost simultaneous hurricanes Harvey and Irma, the figure would have been bigger if more Puerto Ricans had their goods protected. Roughly half of homes in the country are insured in some way, a figure below the average in the US, AIR Worldwide said. Meanwhile, the economic toll for Hurricane Irma is estimated at between $25bn and $50bn in insured losses, according to Fitch Ratings. Although the firm said the damage caused by the storm in Florida was “substantial”, it added that Irma’s path tempered the impact. Fitch Ratings’ numbers were comparable with further calculations made by other companies operating in the sector. In August, Harvey was the first of the three recent hurricanes to make landfall. Texas and Louisiana were the most affected areas at this time. Losses caused by flooding and high winds rose to $10bn in insured goods, according to AIR Worldwide data, although an estimation by analytics firm Corelogic gave lower figures for the damage, at $6.5-9.5bn. With such significant losses – which are even bigger if uninsured properties and goods are taken into account – hurricanes have certainly impacted the wider US economy. Consumer spending and industrial production have seen slight declines, according to official estimates. However, the Fed left its forecast of 2.2 percent growth for the third quarter unchanged. In Puerto Rico, it is still too early to see the full impact of Hurricane Maria on economic indicators. However, the hurricane is also expected to have damaged the country’s economy, which is already struggling with financial obligations and is suffering a population exodus.